Edgar Allen Poe, Jules Verne and Stephen King are not names that often pop up in conversations about jewelry design, but designer Veronica Eckert points to the literary icons as early catalysts for her creativity. 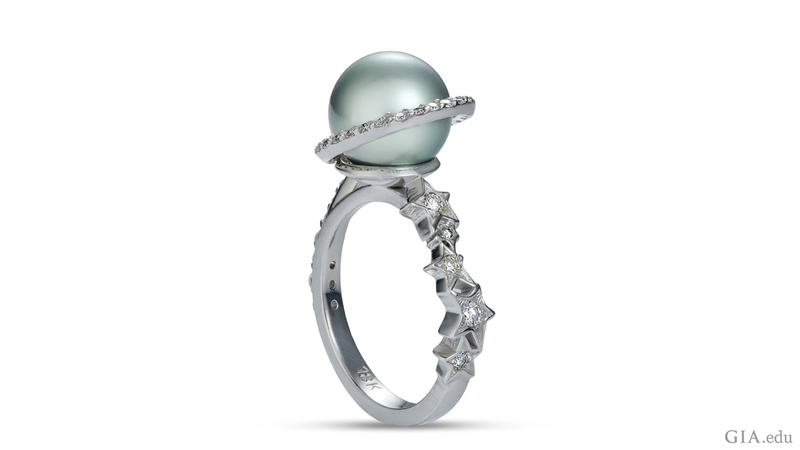 Eckert, a GIA JDT, is the owner of Veronica Eckert Studio and the recent grand prize winner of the Revere Academy’s 2016 Tahitian Pearl Jewelry Design Contest. 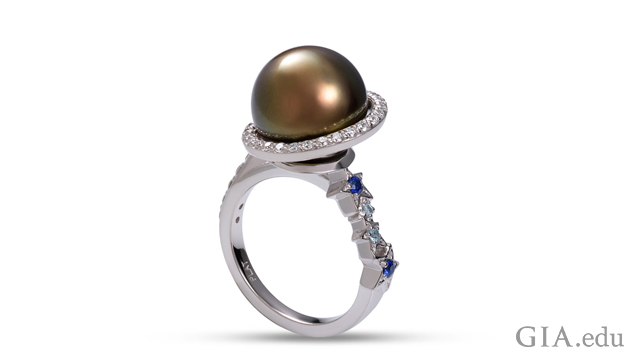 Her winning design is the dreamy, space-inspired “Trip to Saturn” platinum ring, which features a 12-mm, high-luster black Tahitian pearl and blue sapphires, aquamarines and diamonds. She says that the experience of participating in the design competition elevated her artistic vision. Eckert’s parents, a surgeon and a biologist, did not pursue the jewelry industry, and her grandfather passed away when she was young. The family store closed after his death, and though Eckert could no longer visit the store or learn from him, her desire to create was irrepressible. Eckert studied design and worked as a graphic artist, and eventually art director, for an advertising and marketing agency. But, after immigrating to the United States and working for a design studio in Seattle in 2011, she decided to sign up for a beginner’s jewelry-making class at a small studio in the city. She instantly felt a spark of curiosity. 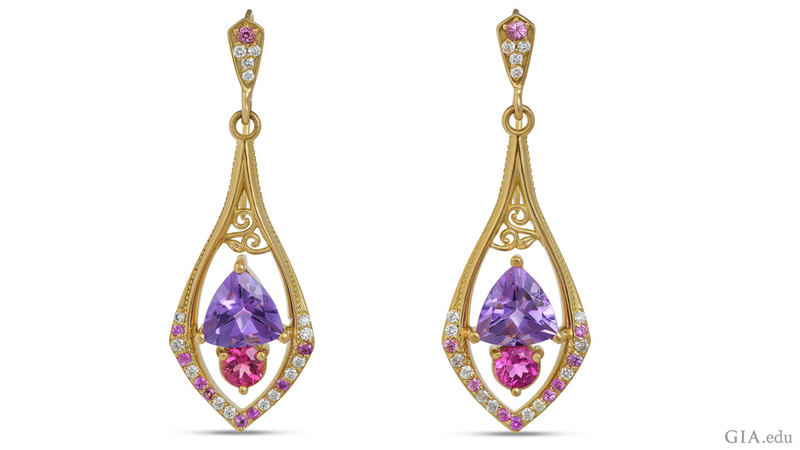 Eckert began to hear about the impact of CAD/CAM in the jewelry industry and wanted to know more. She discovered the Jewelry Design and Technology program at GIA, spoke with instructors and realized the JDT program was a perfect fit. Eckert jumped in, moving to Carlsbad for six months and enrolling in the On Campus program. Eckert says the instructors were “dedicated and professional,” and credits Kelly Borello, in particular, with serving as an advocate for her career, post-graduation. “She has been very helpful and kind – taking time to advise me of some modeling processes, discussing how to approach a company during a job search,” Eckert says. After working for a fine jewelry company in Southern California, Eckert found herself so busy designing for clients that she decided to go into business for herself. 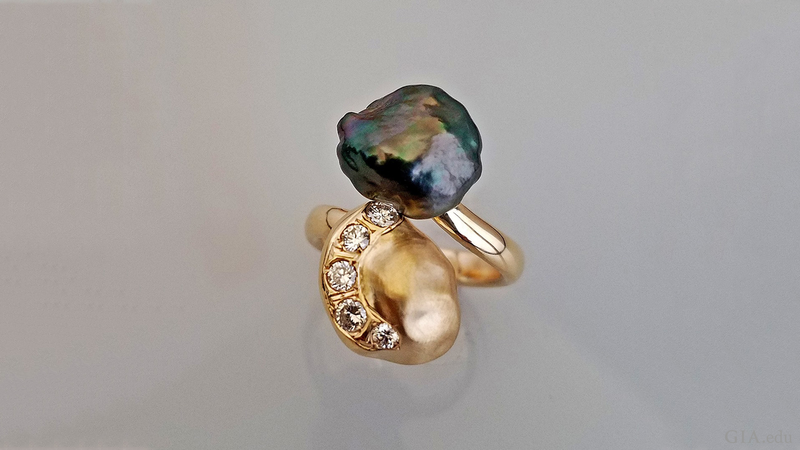 She opened Veronica Eckert Studio Jewelry in December 2016, in a small studio in Los Angeles’ jewelry district, and is enjoying being able to invest and focus more on design. Anything that awakens my senses inspires me. Eckert cites art nouveau architecture, surrealist painters like Remedios Varo, and of course, science fiction, as sources of inspiration, but her ambitions are quite down to earth. 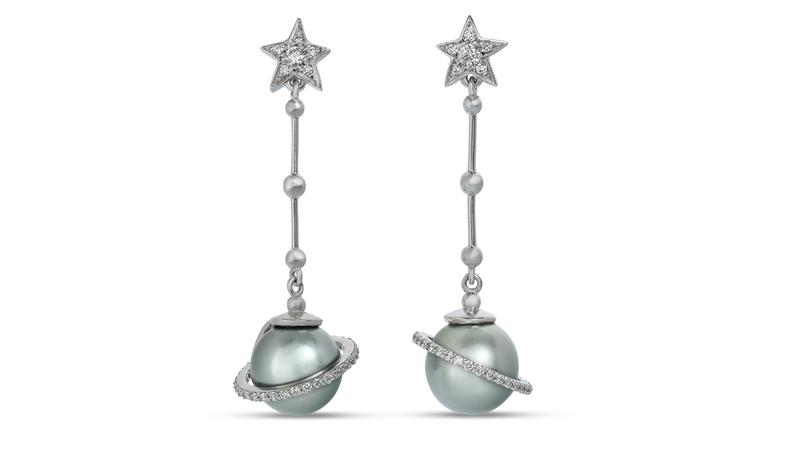 “My goal as a jewelry designer is simply to become a better designer every day,” she says. 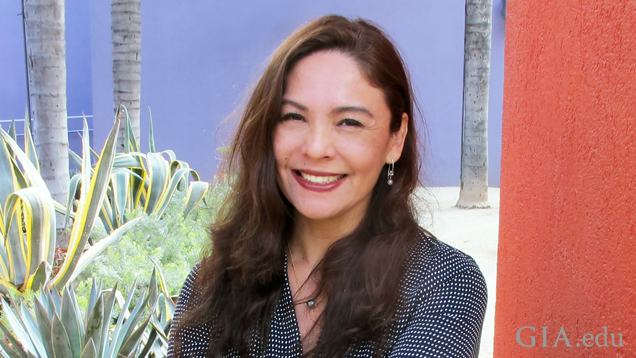 To her delight, Eckert’s daughter, Itzel Montserrat, has followed her into the gem and jewelry industry. Montserrat earned her GG diploma in 2014, and after working for Blue Nile in Seattle, moved to the Los Angeles suburb of Monrovia to work in quality assurance for designer Christian Tse. She also assists Eckert with buying, appraisal and gem identification. 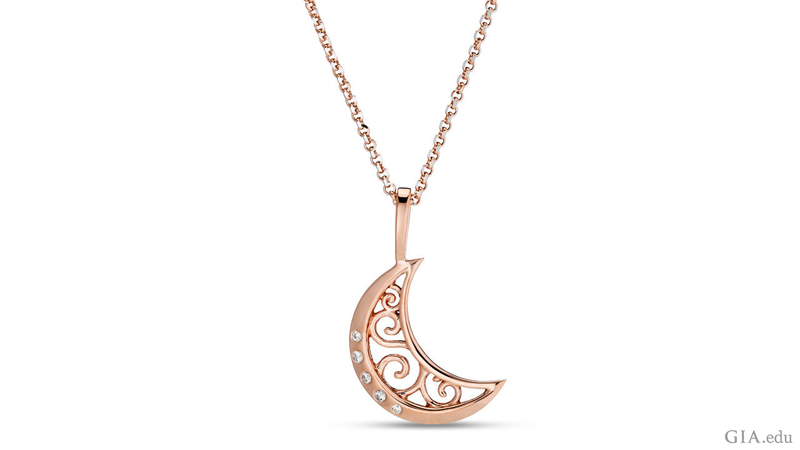 Montserrat’s entry into the jewelry industry means that after a brief lapse, the mother-daughter duo can say that their family’s history runs four generations strong. ‘Adventure seeker’ crawls through underground caves to reach and research giant selenite crystals – then shares her knowledge with the world. Designer’s ‘Complex, Eccentric’ Pieces Create Buzz, Find Fans in Hollywood and D.C.
Los Angeles designer designs a popular political pendant, is earning national press coverage and finding fans among Hollywood A-listers. A renewed structure, expanded education opportunities and other tools will help GIA Alumni Association chapters and members communicate GIA connection. GIA serves alumni by continuing to share knowledge, develop and deliver education, and provide opportunity for our alumni throughout their careers. Alumni across the globe participate in chapter events and are out in full force to support the trade. There are a variety of ways you can join them. The GIA Alumni Association offers education, networking and fun to all who choose to participate. GIA offers several degree and certificate programs for students entering the professional world of jewelry design.